Is an English translation/reference to the German publication available? It refers to work by Dr. V. Raghavan Emeritus Sanskrit Professor of Madras University. 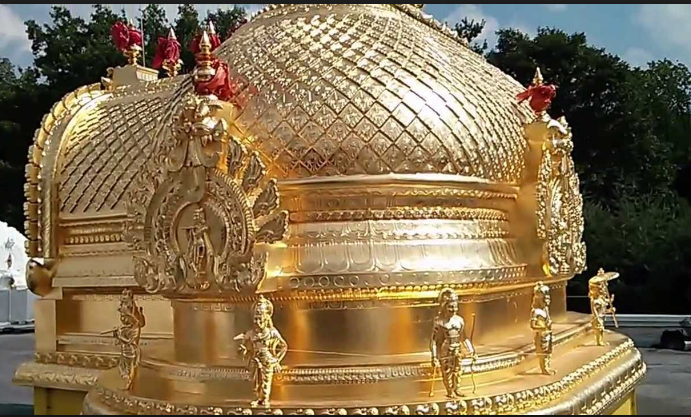 It appears are detachable flying parts of temple Gopurams. Four strong liquid mercury vessels must be installed in the inner structure. When heated by Sun's rays or by other means the Vimana (aircraft) develops a powerful thrust from the mercury.... etc. Browse other questions tagged translation-request .